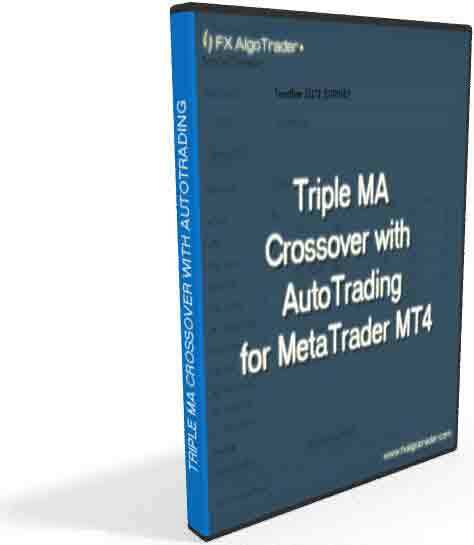 The Triple Moving Average Crossover System with AutoTrading is a highly developed version of the original Triple MA Crossover Alert System. The AutoTrading system allows the trader to automate order control based on the trader's specific entry and exit requirements. The new autotrading system is also market adaptive which allows the trader to filter out rangebound market conditions where moving average crossover trading techniques do not perform as well. We beta tested this system with a select group of customers for two months in 2017 and we believe the release version of this tool represents a game changing tool in the retail forex trading space. The market adpaptive capabilities of the tool realy do make a huge difference in filtering out rangebound/sideways entry conditions. We anticipate this tool will become our top seller very quickly indeed! Opposite Cross Exit If enabled, the system will close trades when the moving averages cross over in the opposite direction. Traders can control multiple charts from a single external interface.... there is no requirement to drill into each chart and scroll through long external input parameter lists! In plain English, traders could use different MA colours, widths, styles, and alert sounds for specific timeframes thereby providing a rapid visual confirmation. The only way to achieve this with a standard MT4 indicator would be to open 9 charts for each currency pair being analysed!! Short term forex traders would benefit from enhanced asset selection when using MA crossovers. Products such as the FX Index Analyzer are very useful in allowing the trader to identify the optimium pairs to trade without having to perform laborious top down analysis. The FX Index Analyzer service immediately identifies the optimum pair selection!